From Thessaloniki, our train merged onto the path of the Orient Express crossing the Yugoslav border at Gevgelija. 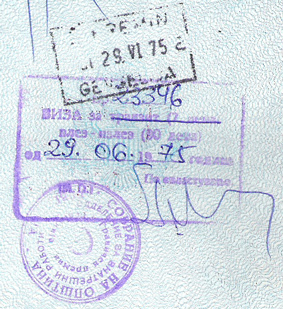 My passport received two stamps this day — one in Greek and one in Serbo-Croatian. I settled back for pleasant conversation with five fellow travelers who were on their way north, like me, to Vienna. Gevgelija, Macedonia ⇒ Skopje, Macedonia ⇒ Nis, Serbia ⇒ Beograd, Serbia ⇒ Zagreb, Croatia ⇒ Maribor, Slovenia ⇒ Spielfeld, Austria ⇒ Graz ⇒ Wien. Gazing out the window, I noticed in the distance a man plowing his field with a mule. Where was his tractor? The man and his mule foreshadowed the poverty we would soon encounter. A year before, Yugoslavians had adopted a new constitution which twenty years later would lead to the bloody dissolution of Yugoslavia into little Balkan states with their unpronounceable names — Macedonia, Kosovo, Serbia & Montenegro, Vojvodina, Bosnia & Herzegovina, Croatia, and Slovenia. You may have heard of them. This is the land where World War One began, where Serbs maintain personal arsenals rivaling those of Americans. 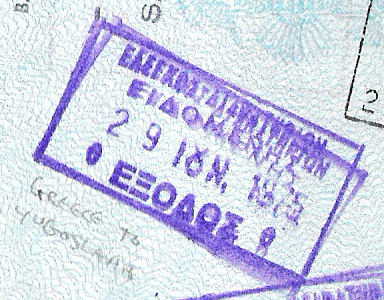 At Skopje, the ordeal began. A thousand slavs crammed aboard mushing us together like canned spam sweating salt in stifling air. 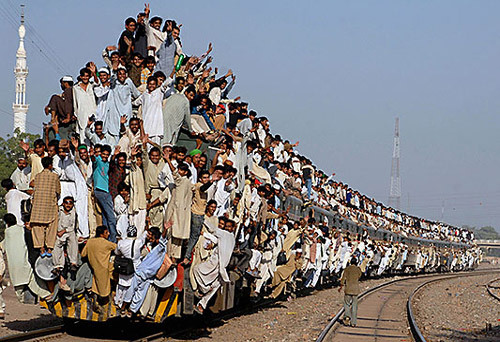 At each stop more and more slavs squeezed on board. 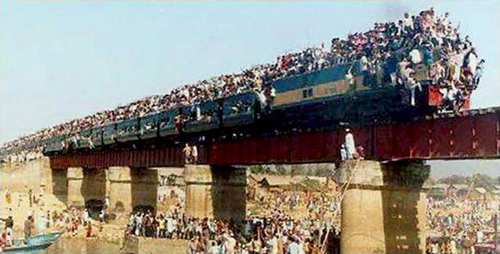 You may have seen similar trains with Pakistanis hanging over the side. I made the mistake of seeking a less packed car. When I returned, it was standing room only for the next 4 to 8 to 12 hours accompanied only by the monotonous clack of unending track ... Nis ... Belgrade ... Zagreb... My most miserable day yet — disoriented and compressed. After failing to find refuge by crawling under a seat, I could stand it no longer. I grabbed my pack, bid ciaouyonara to my fellow travelers in a can, and fought through the throng from car to car till at last I came to the mail car where, thankfully, someone had neglected to lock the door. I lay down exhausted on a bag of postcards, some of which were probably mine, and fell unconscious. Those of us who see the world as half empty — the Republicans — fear civilization's demise through terrorism, disease, godlessness, gunlessness, and a stray asteroid or two. Those of us who see the world as half full — the Democrats — hope civilization will continue to evolve through a cooperative balance of socialism with individualism, which is neither 20th century Communism, nor Pottersville — and I don't mean Harry Pottersville. Remember Jimmy Stewart's alternate not so Wonderful Life? If the half-fulls prevail, robots — the new proletariat — will continue to replace our drudgeries, and jobs will soon become obsolete. 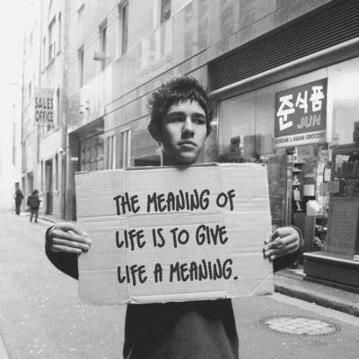 How will we maintain our sense of worth when the jobs disappear that define us and supply us with our meaning to live? We have either been educated to work in Chinese factories making toys, or in American offices collecting data. Will we meet the challenge of a jobless society where value is more important than money? How will we handle the freedom to live in a world outside time where only the 1% now live? This may sound like everyone's ideal heaven, but, as a consequence... will we drug ourselves into a stupor, or will we evolve beyond our material sufficiency? If all our basic needs are provided, what will motivate us? How many of us, with only spiritual motivation, will become artists, scientists, or saints, anyway? Maybe not so many, but to be free of bodily needs, with no financial worries, will certainly free more of us to pursue essentially human goals — i.e., discovering what it is to be human.